For a soothing, aromatic tea that supports detoxification and can support immune defense, chaga tea with chamomile offers a tranquil, balancing combination. 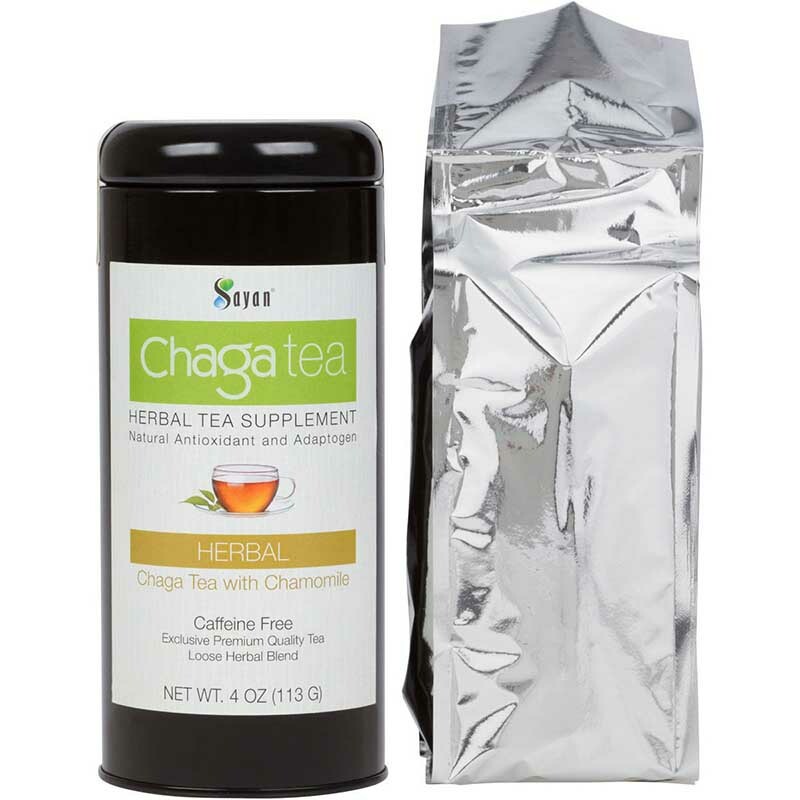 Blending the best chaga tea with soothing, fragrant chamomile, this loose tea combination provides a soft and aromatic flavor bouquet that dances across the taste buds and calms the soul. 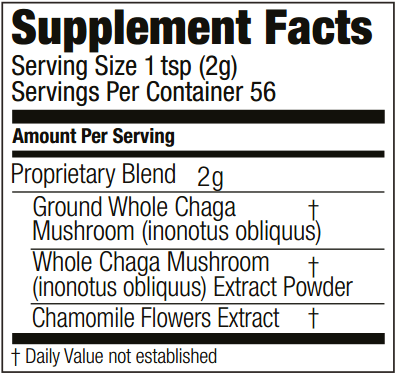 Ingredients: Ground Chaga Mushroom (Innonotus obliquus) Powder, Chamomile Flowers Extract, Chaga Mushroom (Innonotus obliquus) Extract Powder. Using an infuser or teapot, combine 8 ounces of boiling water with 1 teaspoon of loose tea. Steep for 2–3 minutes. For a stronger flavor, keep the infuser in your cup. 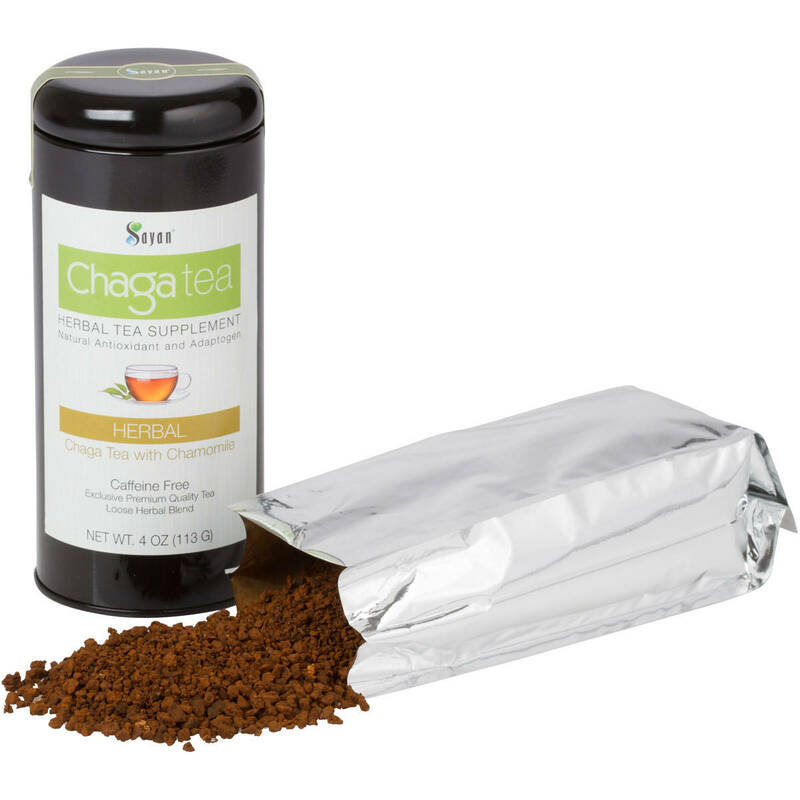 On its own, chaga tea packs a punch with scientifically backed health-boosting constituents, including polysaccharides, beta-glucans, and polyphenols. But when combined with chamomile tea leaf extract, the synergistic health benefits are exponential. Chamomile can help to support healthy blood sugar levels, boost immune function, and promote digestive health. 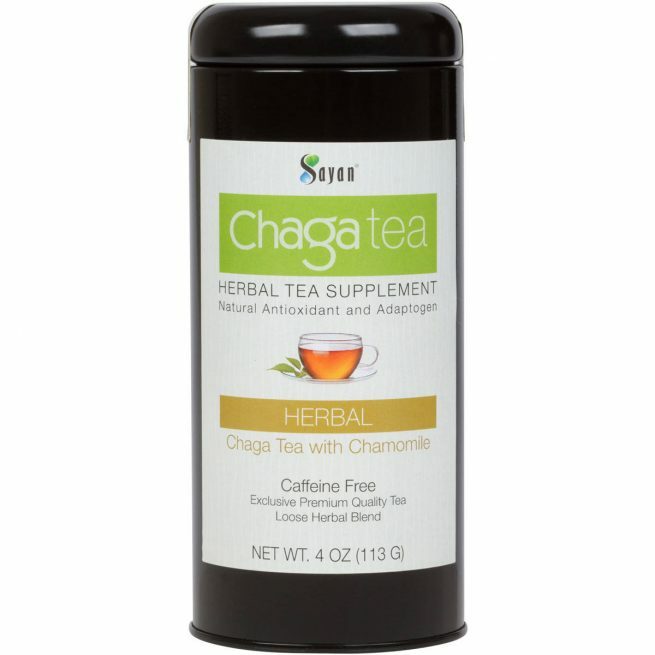 * Chaga and chamomile tea is also caffeine-free, gluten-free, and vegan-friendly, making it an exceptional wellness beverage for any health-conscious tea drinker. 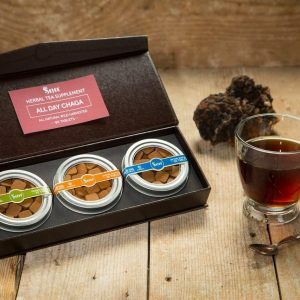 For more than four thousand years, the chaga mushroom or “Gift from God” has been sought as a multi-benefit source of excellent health and well-being in the Sayan Mountains of Siberia. 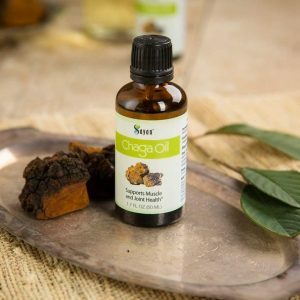 Only recently has the Western world caught on to the life-changing benefits of chaga, but the venerated mushroom is quickly gaining recognition across health websites and throughout mainstream medicine. A steaming mug of refreshing chaga and chamomile tea is perfect for any time of day. Especially if you’re sensitive to caffeine, look to this tea as the perfect alternative to your daily energy boost. 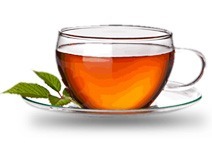 The loose tea expands for optimal flavor and absorption of antioxidants and other health benefits. Because Sayan knows that great health and amazing flavor can’t be mass-produced, we see to it that each package of our 100% pure loose tea is sustainably harvested and minimally processed to preserve the all-natural power of chaga and chamomile flowers. Sayan Health is the only chaga company that offers pure chaga exclusive tea blends with raw and chaga extract. 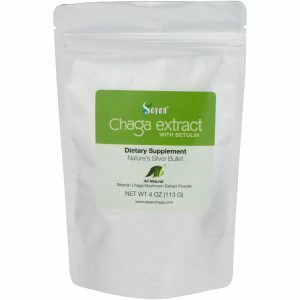 We have been offering the finest-quality chaga products since 2007. 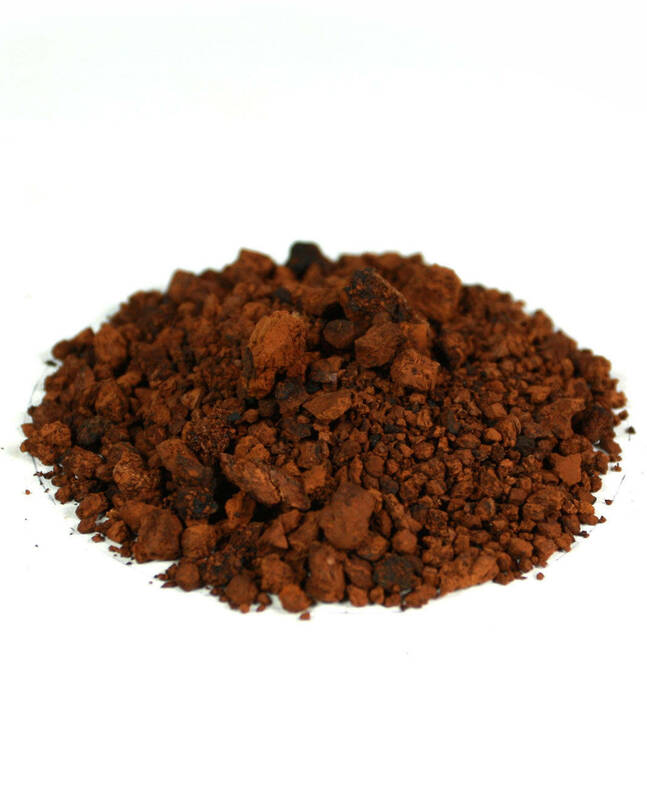 We know chaga tea and are here to answer all your questions about our exceptional products. 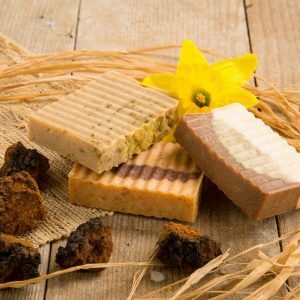 We never add fillers or chemicals to our products, and we contribute to local nonprofits by donating a portion of our gains to their needs. Order this tea to get a sense of well-being you’ve yet to experience! I bought these for my mom and she loves how it get her through the day without one bit of tired. The quality of this amazes me. Astonishing product. Thought this was the greatest invention of all time. Good stuff! Very smooth flavor. I absolutely love the light earthiness of this tea. New customer for life.